Slow and steady wins the race, but not when one takes one step forward and two steps backward. Likewise, steady rise of India on the world digital map is impossible if we self-inflict ourselves with hurdles which should be wisely avoided. 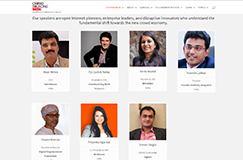 We are living in an open world that is thriving on sharing, crowdsourcing and networking. One cannot be a part of the open world by closing oneself. 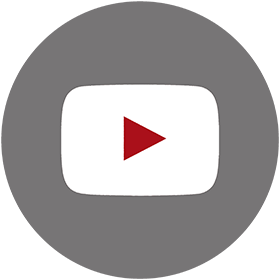 Innovations which are transforming our lives thrive on easy and instant accessibility. However, time and again we are confronted with reflections of authoritarian mindset of the yore that threatens to impede the steady progress we have made so far as a country. 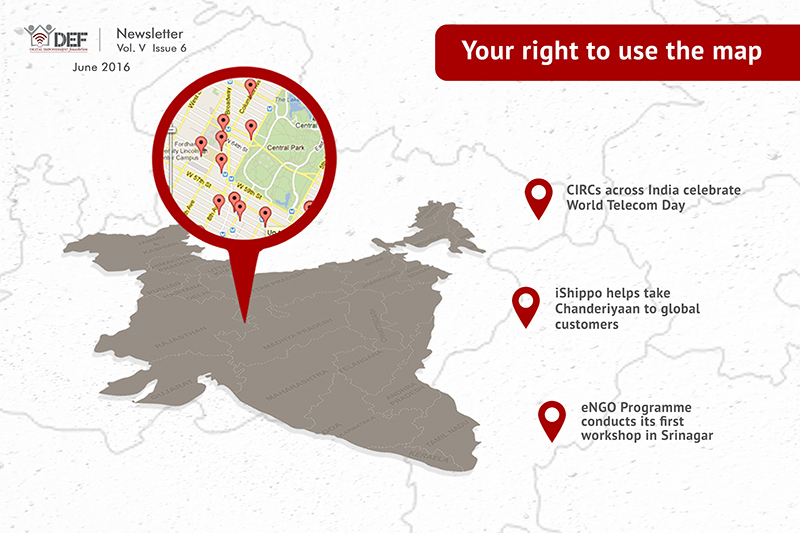 To cut to the chase, Geospatial Information Regulation Bill is draconian, to say the least. It is an anomaly to openness that is the pre-requisite for innovation. It contradicts the vision of ‘Digital India’. And we must not live in the past but march into the future. 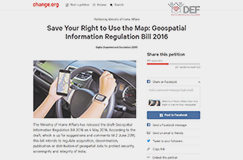 In May, Digital Empowerment Foundation (DEF) carried out extensive campaigning against the Geospatial Information Regulation Bill, 2016. You will read more about our stand in this issue. Meanwhile, I would also like to thank all organisations and individuals who contributed to MeraByte by donating their old devices. 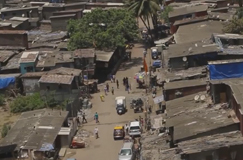 Your contribution will reach the marginalised and underserved rural communities in India. Here’s a scenario if the Geospatial Information Regulation Bill, 2016, becomes an Act: I have to ask my friend to pick me up from an exact location in the city, and I decide to send my friend my location through WhatsApp (or any other messaging app) using Maps. 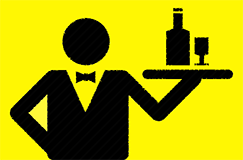 I will have to first seek a license from the Security Vetting Authority (a three-member team for the entire nation). Once I have the approval to “send my location”, my friend will have to get the same authority’s permission to “receive the location”. So you can well imagine how long I’ll be waiting for my friend to come and pick me up. 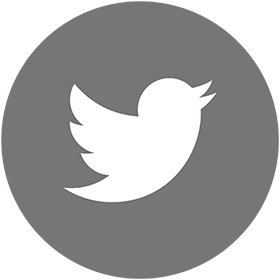 Also, you can forget about geotagging photos on social media posts or checking-in on Facebook, Twitter, Instagram or Snapchat. You can also forget about hailing a cab through Ola or Uber; or sending an SOS alert through one of those safety apps. Food will no longer be delivered through Food Panda or Zomato. And, of course, there will no point of downloading Google Maps on your phone because, well, you don’t have the license to use navigation apps. Ritu Srivastava and Rajat Kumar from DEF’s Research team, and Chitra Chauhan and Jayanti Bapat from the CIRC team travelled to Bali for a training in Digital Security and Secure Online Communications from May 23 - June 4. 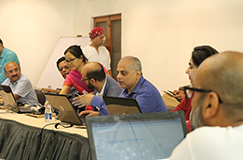 The training, organised by the Association for Progressive Communications, included participants from three other countries, and covered elements of social engineering, ensuring security of one’s digital devices, transferring files securely and basic encryption. Extensive pedagogical techniques were included to ensure DEF participants are trained to become senior trainers in digital security. 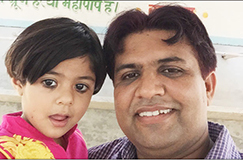 The number of students enrolled for digital literacy at the Baank-e-Loom centre, in Saidanpur village of Barabanki district in Uttar Pradesh, has now risen to 193. Last month, 73 people had participated in a design competition organised in the cluster of gamchha and stole weavers. Top 20 of them will now be enrolled for the digital design classes. Additionally, 10 students who have completed the digital literacy course and have shown keen interest in networking set up, have been selected for training under the Wireless for Communities project. Baank-e-Loom is an initiative of DEF and Ericsson. May was a productive month for project DigiKala. 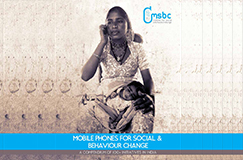 While community mobilisation to encourage children and adults to enroll for digital literacy classes continued (21 new students joined last month), a survey was carried out to understand designs in Nuapatna. 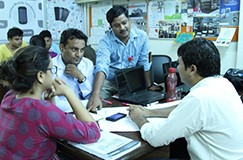 On June 5, the first digital literacy batch was started for three self-help groups. 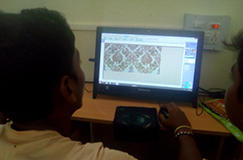 Meanwhile, seven youngsters from weaver families are being trained in digital designing by a digitally enabled weaver from Chanderi, Furqan. The DigiKala centre is also providing services like photocopying and printing at half the market rate to ensure maximum access to citizen services. 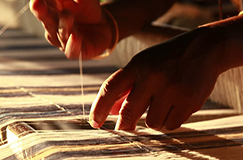 Last month, the DigiKala centre in Barpali invited National Award winner Dayalu Meher and wife Swarnalata Meher to encourage the weaver community to adopt digital tools and give the staffers a better understanding of ikat designs in the community. Meanwhile, design classes have started at Barpali, too. 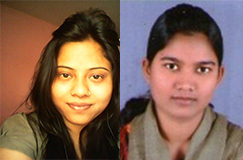 A group of students, with basic digital literacy, have been selected for the digital design classes at the Barpali centre. Efforts are being made to mobilse aanganwadi workers and local self-help groups. Digikala in Nuapatna and Barpali is an initiative of DEF and Microsoft India. 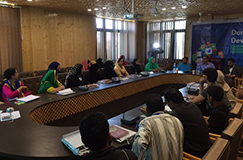 As an initiative towards digital upliftment of NGOs, CSOs, SHGs in Kashmir, DEF — along with its regional partner Habbakhatoon Foundation & NGOs Coordination Federation — organised an eNGO ICT Capacity Building workshop in Bemina, Srinagar, on May 17. 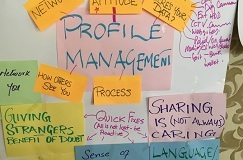 Around 50 NGO participants and a few artisan groups participated in the workshop with a desire to widen their digital horizon and broaden their scope of opportunities. Additional Deputy Commissioner of Srinagar later encouraged DEF to organise more such workshops in the Valley. 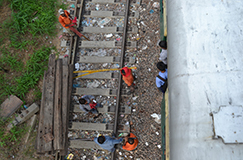 A similar workshop was organised in Agra, Uttar Pradesh, on June 3. 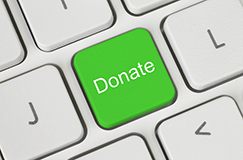 The eNGO Programme made the donation button live for four more organisations in the last one month, bringing the total to 17. These include the Shramik Janata Vikas Sanstha, Nirmal Seva Samiti, Khanpur Azad Gram Unnayan Samity and the Christian Social Development Organisation. The eNGO Programme is dedicated to converting grassroots civil society organisations to validated entities with a global online presence to showcase their accomplishments to people around the world and boost fundraising through digital means. 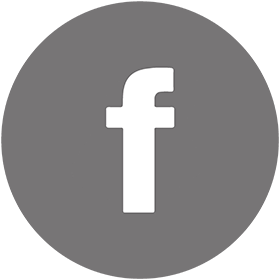 In the last couple of years, the platform has taken more than 5,000 NGOs online across the globe. The 52 Parindey journey reached its half-way through mark in May. And on the occasion, we made the website multilingual. 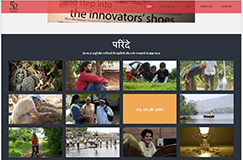 People can now read inspiring stories on 52 Parindey website in both Hindi and English. Rahul Karanpuriya, the fellow who is on a unique journey to discover dying or unpopular vocations and those practicing it, has now travelled more than 8,000 kilometres on public transport or foot, covering Delhi, Haryana, Uttarakhand, Rajasthan, Gujarat, Madhya Pradesh, Goa, Maharashtra and Karnataka. However, there are miles to go before Rahul can rest. Rahul’s reflection on the journey so far can be read here. Anima Pradhan from Bargarh district of Odisha recently got an opportunity to join a network of women entrepreneurs and share her story of success. On May 26, 2016, Anima was invited by YouthSparks Live 2016 to speak about the efforts she has been making to empower traditional weavers of Barpali. There was a time when Anima’s family felt that digital literacy is a waste of time. 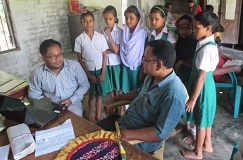 Determined to set an example, Anima not only learned computers but also became a CIRC coordinator in Barpali. 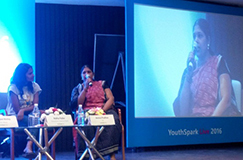 At YouthSparks, she expressed a dream of seeing all 100 weaver households in Barpali digitally literate. 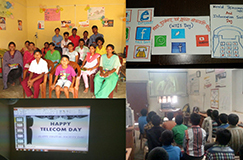 CIRCs across the country celebrated World Telecommunications & Information Society Day with great enthusiasm on May 17, 2016. People from all age groups gathered in large numbers at centres across the country to share new ideas and innovations in the usage of technology in the daily walks of life. They also discussed the need to reduce digital divide, especially among rural and marginalised communities of India, to truly empower them. 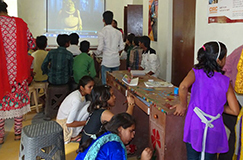 An array of activities including essay writing, painting competition, quiz, debate, discussions and screening of educational films were organised to engage the audience. On May 24, 2016, CIRC Shamsabad in Farukkhabad district of Uttar Pradesh carried out a water conservation rally with support of Sadhbhawana Manch, a local social work group. The rally started from a Junior High School and proceeded into residential localities, encouraging locals to join the awareness walk. 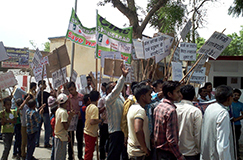 Slogan-calling and placards were used to spread awareness on saving water, for the present and future generations. Later in the day, rally participants gathered at a local school to express their thoughts and ideas around water conservation. The rally was much appreciated, and even covered by the local newspapers. The woman who used to take the family’s goats out into the field for grazing now manages and teaches at a computer centre in Jakhli, Madhya Pradesh. 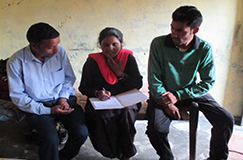 Sangeeta belonged to a poor family and had to face several financial constraints in life. She wanted to study, work and improve the conditions at her home but her family did not support her desire to step out of the house to work. However, opportunity knocked at her door when she was identified as a potential entrepreneur by DEF during a community meeting. From that moment, there was no turning back for her. She struggled, worked hard and became an independent entrepreneur. On 5th June, 2016, CIRCs across the country joined in the global celebrations for World Environment Day. Staff, learners and community members gathered to discuss measures that can be taken to protect the environment from degradation. Awareness rallies, cleanliness drives and sapling plantations were conducted at various centres in an effort towards conserving environment, reducing pollution and protecting the green cover. 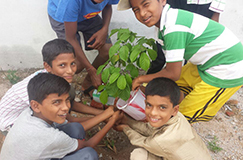 Many centres also organised craft workshops to encourage students to recycle waste into reusable items, besides motivating them to pledge to conserve water and electricity. A Community Information Resource Centre – Soochna Seva Kendra Management & Leadership Workshop was held at DEF office in New Delhi on June 3-4, 2016. Moderated by Deputy Director Dr. Syed Kazi, the workshop addressed solutions to improve the functioning of CIRCs and SSKs by understanding the needs and problems of communities. 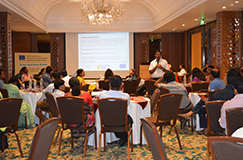 The workshop was attended by project coordinators from New Delhi, besides state coordinators, block coordinators and fellows; and was divided into various sessions focusing on topics like capacity & skill building, content & information, services, access and sustainability. 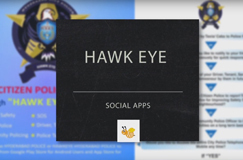 The Hyderabad City Police aims to deliver citizen services efficiently and so it has launched a mobile app called ‘Hawk Eye’. The app envisions to empower members of the public to become citizen police. With an idea of delivering public services and providing a safer atmosphere to its citizens through a mobile application, the initiative was started to motivate every citizen to report against any violation which might have been overlooked earlier. Here is what K. Srinath Reddy, Inspector of Police, IT Cell, Hyderabad City Police, has to say about the initiative that is dedicated to making Hyderabad a safer city. 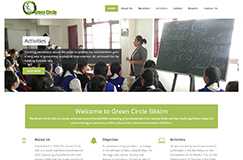 Established in 1994, The Green Circle is an environment-oriented non-profit ogranisation consisting of professionals from various fields, who are making significant impacts in areas relating to awareness about the natural and cultural environment of Sikkim. The objective of the organisation is to develop ecological ethics – a change in the attitude of man, towards man, his heritage and culture, society and nature in realisation of man as part of nature and not alien to it. The Green Circle actively participates in activities to prevent and solving environmental problems, especially managing waste, and organises rural melas to create awareness about the environment. 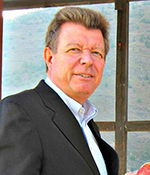 Before joining the Friedrich Naumann Foundation for Freedom (FNF), I worked as a journalist for many years. I produced radio programmes and enjoyed communicating with an invisible audience over the airwaves.